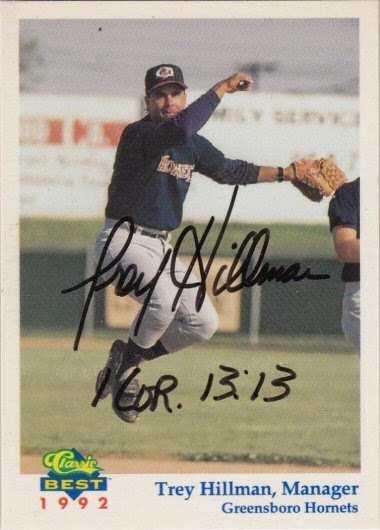 I met him at a Minor League game at Jack Russell Memorial Stadium in Clearwater, Florida in 1996, when the Tampa Yankees, whom he was managing, came to play the Clearwater Phillies. Trey signed a 1992 Classic Best Greensboro Hornets Team Set card #26. Nice double play turn by the manager!